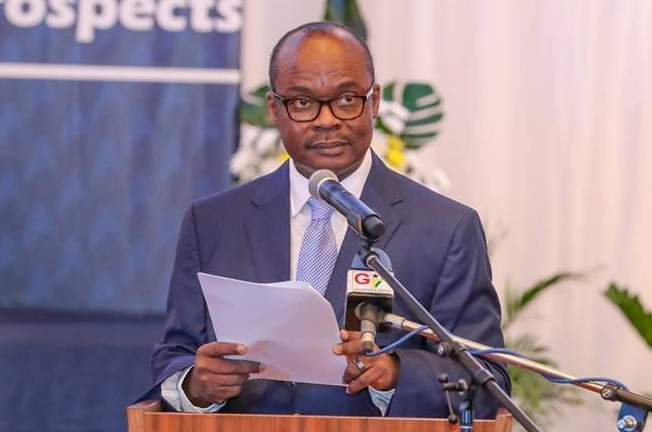 The Bank of Ghana (BoG) says the introduction of the upgraded cedi note is a normal exercise it undertakes to fight counterfeiting of the currency. The upgraded banknotes are scheduled to be in circulation from May 6, 2019. According to the central bank, both the old and the new notes will be used concurrently until the old ones phase out. The last time such a general exercise was conducted was in 2007 when all the notes were redenominated by the then John Kufour administration. The two cedi and five cedi notes were however upgraded in 2010 and 2016 respectively. Per the new upgrade, the cowrie shell on the GH₵10, the star on the GH₵20 and the cocoa pod on the GH₵50 will now have a shiny line in them which will move up and down when tilted. That feature is called Optically Variable Magnetic Image. Another new feature is the New Enhanced Security Thread ( RAPID). That will be a shiny broken line with movement that runs through the banknote from top to bottom. It is continuous when viewed against light. When the note is tilted, a star expands and contracts while the denomination value stays still. Also, the notes will have More Prominent Watermark. With this, the image of Tetteh Quarshie with a cocoa pod would be more noticeable in the plain star area of the banknote. It becomes visible on both sides when viewed against light. The denomination value can also be seen in the watermark area. There is also the Enhanced Iridescent Band at the Back of the Banknote: That is is a golden band with gold bars at the back of the banknote that runs from top to bottom. It can be seen more clearly when the note is tilted against light. However, The Big Six portraits, denominational colours, of red for 1 cedi, yellow for 2 cedis, blue for 5 cedis mouve for 20 cedis and brown for 50 cedis will not change. Dimensions of the various denominations and Other principal and background images will also remain the same. According to the Bank of Ghana the exercise is a normal routine. “In line with best practice, what is done elsewhere, you find that at about seven years there about, countries would change their bank notes. For example if all their technological systems are changing then it means that the way they prints notes are even different and so we cannot stay back. It might end up being more expensive for us to stay the way it’s been. As for counterfeit, every country suffers that one way or the other, the extent might differ from country to country,”Esi Hammond, Head of Communications at the Bank of Ghana said in a telephone interview. The Bank of Ghana has urged the public not to rush in exchanging their notes. “There are payment systems development, we use ATM this days and we need to know that as notes go through ATM for example can be detected if they are not good notes. For example you want serial numbers to be read and read appropriately or well, very well. So we need to have notes that are consistent with these changes with time, she added.